The following describes the terms under which Proof Reading, LLC ("Proof-Reading.com," "we," "our," or "us") provides the https://www.proof-reading.com website (the "Proof-Reading.com Service" or the "Service") to visitors and Registered Users of the Service ("Registered Users") and to visitors to the https://www.proof-reading.com website. If you register on behalf of any entity other than yourself personally, you represent to Proof-Reading.com that you have the authority to bind that entity and that your acceptance of this Agreement will be treated as acceptance by that entity. Changes and Modifications. Proof-Reading.com reserves the right, in its sole discretion, to change, modify, add, or remove portions of this Agreement at any time. Such changes will become effective thirty (30) days after they have been posted to this site or Proof-Reading.com has otherwise notified you of the change. Though Proof-Reading.com may attempt to notify you when major changes are made to this Agreement, you should periodically review the most recent version of this Agreement, which is always available from each Web page within the Service. Your continued use of the Service following the posting of changes will mean that you accept and agree to the changes. As long as you comply with this Agreement, Proof-Reading.com grants you a limited, revocable, non-exclusive, non-assignable, non-sublicensable right to access and use the Service as it is intended to be used and in accordance with this Agreement and applicable law. We grant you no other rights, implied or otherwise. Links to Other Sites. The Service may contain links to other affiliated or independent third-party websites ("Linked Sites"). These Linked Sites are provided solely as a convenience to our Registered Users and visitors. Such Linked Sites are not under Proof-Reading.com's control, and Proof-Reading.com is not responsible for — and does not necessarily endorse the content or practices of — such Linked Sites, including any information or materials contained on such Linked Sites. You will need to make your own independent judgment regarding your interaction with these Linked Sites. General Description. 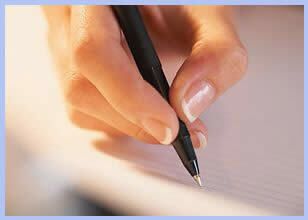 Proof-Reading.com provides comprehensive editing and proofreading services. Texts are checked for proper grammar as well as effective sentence structure, diction, and organization or flow. The Proof-Reading.com service ensures that the Registered Users' ideas are clearly and succinctly communicated to their target audiences. Proof-Reading.com will assure that texts are free of common errors such as colloquial language, non-parallel sentence structure, or improper subject–verb agreement. The Service allows Registered Users to upload, transmit, publish, and disseminate text and other content ("Registered User Content"). Any User Content contained on the Service represents the opinion of that Registered User only. No content made available through the Service, including Registered User Content, should be taken as a statement by or from Proof-Reading.com, or its subsidiaries, directors, officers, employees, or licensors. You are solely responsible for any Registered User Content that is published, transmitted, or disseminated using your Registered User account. You are solely responsible for maintaining the confidentiality of your account information, including your password, and for any and all activity that occurs under your account. You agree to immediately notify Proof-Reading.com of any unauthorized use of your account or password, or any other breach of security. When you upload or otherwise provide your own original Registered User Content to or through the Service, you retain ownership of any copyright (and any other rights) you already hold in your Registered User Content. You also represent and warrant that, with respect to all Registered User Content that you upload, transmit, publish, and disseminate through the Service, that (a) you have all the rights and licenses necessary to use, reproduce, publish, display publicly, perform publicly, distribute or otherwise exploit such Registered User Content in connection with the Service, and to grant to Proof-Reading.com the licenses set forth in this Agreement; and (b) the Registered User Content will not infringe or otherwise violate the copyright, trademark, or any other right of any third party. If you believe that Proof-Reading.com, or any Registered User using the Service, has violated a copyright you claim in your work, please contact us pursuant to the Digital Millennium Copyright Act ("DMCA") at copyright@proof-reading.com and review our copyright policy, available at https://www.proof-reading.com/copyright.asp for more details on how to properly notify us of a DMCA issue. All text, graphics, user interfaces, visual interfaces, photographs, trademarks, logos, sounds, music, artwork, content, and computer code (collectively, "Proof-Reading.com Content"), including but not limited to the design, structure, selection, coordination, expression, "look and feel," and arrangement of such Proof-Reading.com Content, contained in the Service is owned, controlled, or licensed by or to Proof-Reading.com, and is protected by trade dress, copyright, patent, and/or trademark laws, and various other intellectual property and other rights. Your Registered User Content (as defined above) is owned by you, and is not Proof-Reading.com Content. Except as expressly provided in this Agreement or otherwise permitted by law, no Proof-Reading.com Content may be used, copied, reproduced, modified, republished, uploaded, posted, publicly displayed, publicly performed, publicly performed by means of a digital audio transmission, encoded, translated, transmitted, or distributed in any way to any other computer, server, website, or any other medium for publication or distribution or for any commercial enterprise or purpose, without Proof-Reading.com's express prior written consent. You agree that Proof-Reading.com may, in its sole discretion and without prior notice, terminate your access to the Service and/or block your future access to the Service if it determines that you have violated this Agreement or other agreements or guidelines which may be associated with your use of the Service. Please note that it is Proof-Reading.com's policy to terminate the account of Registered Users who repeatedly violate the copyrights of third parties. If Proof-Reading.com does take any legal action against you as a result of your violation of this Agreement, Proof-Reading.com will be entitled to recover from you, and you agree to pay, all reasonable attorneys' fees and costs of such action, in addition to any other relief granted to Proof-Reading.com. You agree that Proof-Reading.com will not be liable to you or to any third party for termination of your access to the Service. Any rights or licenses you grant to Proof-Reading.com, or its visitors or Registered Users, during the term of this Agreement — including, but not limited to, the license granted in connection with your publication of Registered User Content — shall survive termination of this Agreement. YOU EXPRESSLY UNDERSTAND AND AGREE THAT YOUR USE OF THE SERVICE IS AT YOUR SOLE RISK. THE SERVICE IS PROVIDED ON AN "AS IS" AND "AS AVAILABLE" BASIS. PROOF-READING.COM AND ITS SUBSIDIARIES, DIRECTORS, OFFICERS, EMPLOYEES, AND LICENSORS (THE "PROOF-READING.COM AFFILIATES") EXPRESSLY DISCLAIM ALL REPRESENTATIONS, WARRANTIES, AND CONDITIONS OF ANY KIND, WHETHER EXPRESS OR IMPLIED, INCLUDING, BUT NOT LIMITED TO, THE IMPLIED WARRANTIES OF MERCHANTABILITY, MERCHANTABLE QUALITY, FITNESS FOR A PARTICULAR PURPOSE, NON-INFRINGEMENT, TITLE OR ANY WARRANTY OR CONDITION ARISING BY USAGE OF TRADE, COURSE OF DEALING OR COURSE OF PERFORMANCE. PROOF-READING.COM AND PROOF-READING.COM AFFILIATES MAKE NO WARRANTY THAT (a) THE SERVICE WILL MEET YOUR REQUIREMENTS; (b) THE SERVICE WILL BE UNINTERRUPTED, TIMELY, SECURE, OR ERROR-FREE; (c) REGISTERED USER CONTENT WILL BE HOSTED AND/OR TRANSMITTED WITHOUT INTERRUPTION OR CESSATION; (d) ANY PRODUCTS, SITES, INFORMATION OR OTHER MATERIAL, WHETHER IN TANGIBLE OR INTANGIBLE FORM, PURCHASED OR OBTAINED BY YOU THROUGH THE SERVICE WILL MEET YOUR EXPECTATIONS OR ANY STANDARD OF QUALITY; AND (e) ANY DEFECTS IN THE OPERATION OR FUNCTIONALITY OF THE SERVICE OR RELATED SOFTWARE WILL BE CORRECTED. ANY MATERIAL, INFORMATION, OR DATA DOWNLOADED, VIEWED, SHARED, OR OTHERWISE ACCESSED THROUGH THE SERVICE IS ACCESSED AT YOUR OWN DISCRETION AND RISK, AND YOU WILL BE SOLELY RESPONSIBLE FOR ANY DAMAGE TO YOUR COMPUTER SYSTEM OR LOSS OF DATA THAT RESULTS FROM THE DOWNLOADING, VIEWING, SHARING, OR OTHERWISE ACCESSING OF SUCH MATERIAL. NO ADVICE, REPRESENTATION, OR INFORMATION, WHETHER ORAL OR WRITTEN, OBTAINED BY YOU FROM PROOF-READING.COM OR THROUGH THE https://www.proof-reading.com website SHALL CREATE ANY WARRANTY NOT EXPRESSLY STATED IN THE AGREEMENT. ALL CONTENT MADE AVAILABLE THROUGH THE SERVICE, INCLUDING REGISTERED USER CONTENT, IS SOLELY THE OPINION OF THE PARTY RESPONSIBLE FOR ITS PUBLICATION. NO SUCH CONTENT, INCLUDING REGISTERED USER CONTENT, AND NO STATEMENT MADE BY, ON, OR THROUGH THE SERVICE SHALL BE ATTRIBUTABLE TO PROOF-READING.COM OR PROOF-READING.COM AFFILIATES. YOU EXPRESSLY UNDERSTAND AND AGREE THAT PROOF-READING.COM AND PROOF-READING.COM AFFILIATES WILL NOT BE LIABLE TO YOU FOR ANY DIRECT, INDIRECT, INCIDENTAL, SPECIAL, CONSEQUENTIAL, EXEMPLARY, OR PUNITIVE DAMAGES THAT MAY BE INCURRED BY YOU, HOWEVER CAUSED AND UNDER ANY THEORY OF LIABILITY. THIS INCLUDES, BUT IS NOT LIMITED TO, ANY LOSS OF PROFITS, GOODWILL OR BUSINESS REPUTATION; ANY LOSS OF DATA; ANY COST OF PROCUREMENT OF SUBSTITUTE GOODS OR SERVICES; OR ANY OTHER INTANGIBLE LOSSES. THIS ALSO INCLUDES ANY LOSS OR DAMAGES THAT MAY BE INCURRED BY YOU AS A RESULT OF (a) ANY CONTENT MADE AVAILABLE THROUGH THE SERVICE, (b) ANY CHANGES THAT PROOF-READING.COM MAY MAKE TO THE SERVICE; (c) ANY PERMANENT OR TEMPORARY CESSATION OF THE SERVICE; (d) THE DELETION OR CORRUPTION OF OR FAILURE TO STORE ANY REGISTERED USER CONTENT MAINTAINED THROUGH THE SERVICE; OR (e) YOUR FAILURE TO KEEP YOUR PASSWORD OR ACCOUNT DETAILS SECURE. THE LIMITATIONS AND EXCLUSIONS OF LIABILITY ABOVE SHALL APPLY IRRESPECTIVE OF THE THEORY OF LIABILITY, INCLUDING CONTRACT (INCLUDING FUNDAMENTAL BREACH), WARRANTY, PRODUCT LIABILITY, STRICT LIABILITY, TORT (INCLUDING NEGLIGENCE) OR OTHER THEORY, EVEN IF WE (OR OUR AFFILIATES) HAVE BEEN ADVISED OF THE POSSIBILITY OF SUCH DAMAGES. YOU SPECIFICALLY ACKNOWLEDGE THAT PROOF-READING.COM AND PROOF-READING.COM AFFILIATES SHALL NOT BE LIABLE FOR ANY USER CONTENT OR THE DEFAMATORY, OFFENSIVE, OR ILLEGAL CONDUCT OF ANY THIRD PARTY AND THAT THE RISK OF HARM OR DAMAGE FROM THE FOREGOING RESTS ENTIRELY WITH YOU. SOME JURISDICTIONS DO NOT PERMIT THE EXCLUSION OF CERTAIN WARRANTIES OR CONDITIONS OR THE LIMITATION OR EXCLUSION OF LIABILITY FOR CERTAIN DAMAGES. ACCORDINGLY, ONLY THE LIMITATIONS THAT ARE LAWFUL IN YOUR JURISDICTION WILL APPLY TO YOU AND, IN SUCH INSTANCES, PROOF-READING.COM AND PROOF-READING.COM AFFILIATES' LIABILITY WILL BE LIMITED TO THE MAXIMUM EXTENT PERMITTED BY LAW. You will indemnify and hold Proof-Reading.com and/or Proof-Reading.com Affiliates harmless from and against any and all liabilities and costs (including reasonable attorneys' fees) incurred by Proof-Reading.com and/or Proof-Reading.com Affiliates in connection with any Registered User Content that you publish or disseminate using the Service or any claim arising out of your breach of the Agreement. Proof-Reading.com reserves the right, at its own expense, to assume the exclusive defense and control of any matter otherwise subject to indemnification by you. Entire Agreement. This Agreement is the whole legal agreement between you and Proof-Reading.com. It governs your use of the Service and completely replaces any prior agreements between you and Proof-Reading.com with respect to the Service. You may also be subject to additional terms and conditions that may apply when you use or purchase other services from Proof-Reading.com and/or its affiliated services. Dispute Resolution. In the event of any controversy or dispute between Proof-Reading.com and you arising out of or in connection with your use of the Service, Proof-Reading.com will attempt, promptly and in good faith, to resolve the dispute. If Proof-Reading.com is unable to resolve any such dispute within a reasonable time, each party to this Agreement agrees that any dispute or controversy arising between any of the parties to this Agreement, or any person or entity in privity therewith, out of the transactions effected and relationships created pursuant to this Agreement and each other agreement created in connection herewith, including any dispute or controversy regarding the formation, terms, or construction of this Agreement, regardless of kind or character, must be resolved through binding arbitration, which may be initiated by any party to this Agreement. In any such proceeding, Proof-Reading.com, in its sole discretion, shall choose the arbitrator or arbitration panel. Each party to this Agreement agrees to submit such dispute or controversy to arbitration before the American Arbitration Association in San Francisco County, California, and further agrees to be bound by the determination of an arbitrator or arbitration panel empanelled by the American Arbitration Association to adjudicate the dispute. Judgment on any arbitration award may be entered in any court of competent jurisdiction. Any party to this Agreement may bring an action, including a summary or expedited proceeding, to compel arbitration of any such dispute or controversy in a court of competent jurisdiction and, further, may seek provisional or ancillary remedies, including temporary or injunctive relief in connection with such dispute or controversy in a court of competent jurisdiction, provided that the dispute or controversy is ultimately resolved through binding arbitration conducted in accordance with the terms and conditions of this Agreement. In any proceeding under this section of the Agreement, the non-prevailing party shall bear all costs, including reasonable attorneys' fees. Severability of Terms; Non-waiver of Terms; Assignment. If any portion of the Agreement is held to be invalid or unenforceable, such provision shall be stricken and the remainder of the Agreement enforced as written. If Proof-Reading.com does not exercise or enforce any legal right or remedy including those contained in the Agreement or arising under applicable law, this will not be taken to be a formal waiver or relinquishment of our rights. Proof-Reading.com may assign or delegate all rights and obligations under the Agreement, fully or partially.